Her Majesty, Queen Elizabeth II, has been the Queen of England since 6th February 1952 and that’s longer than I've been around. Her popularity as a monarch may come and go, as indeed does popularity and support for the monarchy as a whole, but personally, I am an ardent supporter of the monarchy. Politicians may come and go, but Queen Elizabeth II has been a constant throughout all of the many years of her reign. Pretty much everyone in the world knows who she is and what she looks like, but here are ten things about Queen Elizabeth II, you may not have known. Everyone knows that Queen Elizabeth II is the Queen of the United Kingdom, but did you know that she is also the Queen of other countries too? 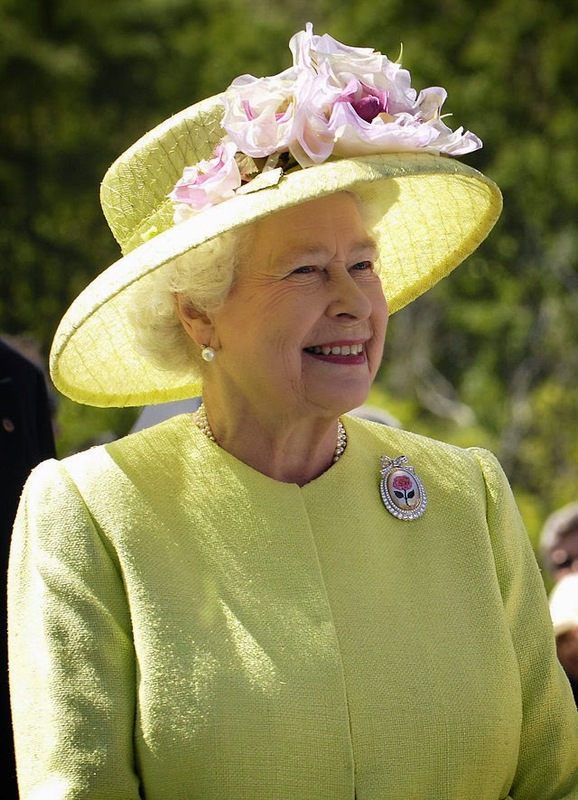 In addition to the United Kingdom, currently Elizabeth is also the queen of: Canada, Australia, New Zealand, Jamaica, Barbados, the Bahamas, Grenada, Papua New Guinea, Solomon Islands, Tuvalu, Saint Lucia, Saint Vincent and the Grenadines, Belize, Antigua and Barbuda, and Saint Kitts and Nevis. Not that you’d expect to bump into the Queen in the line for the immigration desk at an airport anyway, but the Queen doesn’t have a passport, because officially, it’s the Queen herself who issues all the passports. There’s nothing like keeping it in the family is there! The Queen and her husband, Prince Philip are actually cousins. They have the same great-great- grandparents who were Prince Albert and Queen Victoria. Prince Albert and Queen Victoria were also cousins. Her Majesty's Yacht Britannia was the Royal family’s home from home from 1954 to 1997. Not only was it a grand setting for the wining and dining of dignitaries, when the Queen was on overseas royal visits, but it was also to be her place of refuge in the event of a nuclear war. Her Majesty's Yacht Britannia was decommissioned in 1997, to save money, and it is said that the Queen shed a tear or two at the decommissioning ceremony. If you ever wondered why the Queen has two birthdays, the answer is one of pure practicality. Edward VII, who was king from 1901 to 1910, set the current official birthday date in June, to try and make sure there would be decent weather for the birthday parades. The actual date varies from year to year in the UK and is a completely different date in some other countries. Queen Elizabeth’s real birthday is 21st April. Hard to believe, but Queen Elizabeth II has raced pigeons. Apparently pigeon racing has been in the family for some time and it first caught on with the royals in 1886, when the King of Belgium gave some racing pigeons to the royal family as a present. I doubt that they are kept in a pigeon coop at the back of Buckingham Palace though! For the first ten years of her life, Elizabeth never even expected that you she would one day be Queen. It was only when King Edward VIII abdicated, in order to marry Wallis Simpson, that she became direct in line for the throne. The Queens sister, Princess Margaret, is reported to have said “Poor you”, when it became apparent that Elizabeth would indeed one day become Queen. Queen Elizabeth is the only female royal to have ever been in the army. During the Second World War, she joined the Women’s Auxiliary Territorial Service where she served as a mechanic and driver. The Queen does like to be an ordinary person sometimes. In 1984, she began to use a small cottage on the Sandringham estate to get away from all the pomp and circumstance and just be an ‘ordinary’ person. It is said that sometimes the Queen spends entire days in the cottage cleaning and watching TV and she sometimes arranges dinner parties for her close friends at the cottage.